It sounds like the headline from a teen magazine! I mean, why would God care about how you feel about your hair? Well, he doesn’t necessarily care about your hair, but he cares a lot about how you feel and act. If you get into what God says in the Bible, you can learn to be like a star and feel like every day is the best hair day of your life. 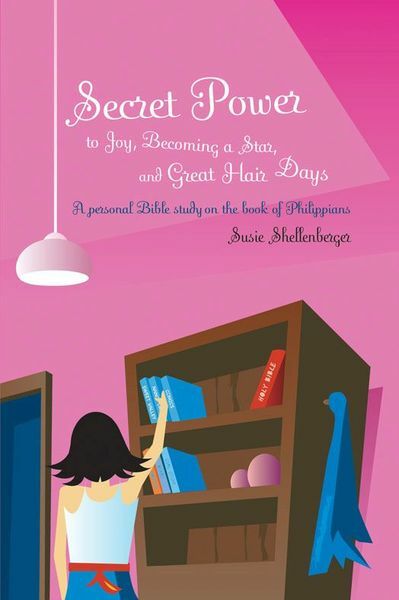 Secret Power to Joy, Becoming a Star, and Great Hair Days is a Bible study in the book of Philippians. Don’t worry, it’s not like school. You can do as much or as little at a time as you want, and you can do the study with a friend. You don’t even need a Bible (all the verses are included). The best part is that reading this book will change your life in big ways. You’ll learn to be content regardless of what’s going on around you, and you’ll learn how God can help you stay focused on the most important thing: Him. So, if you’re ready to start feeling better about your life, regardless of what your hair has in mind, grab this book and discover your secret power to joy.